ANNAPOLIS, Md. -- The Maryland newspaper where five people were killed by a gunman last week said it received death threats and emails celebrating the shooting following the attack. 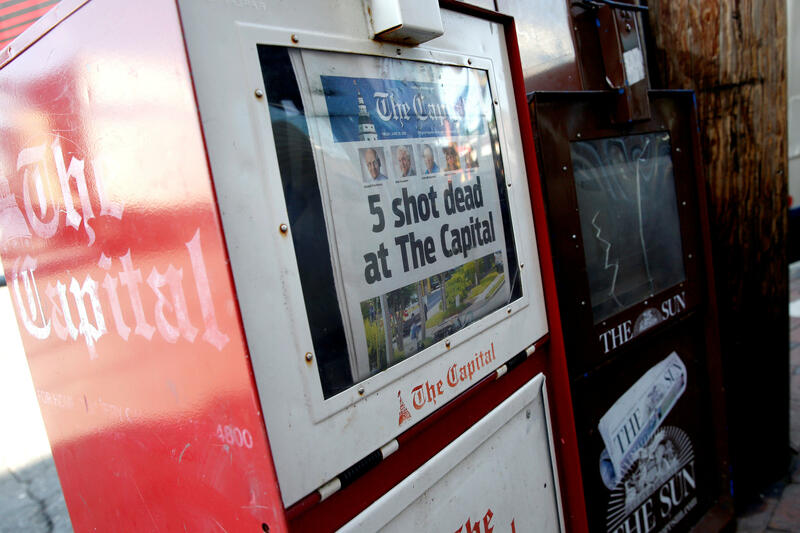 The Capital Gazette said in a Sunday editorial that it would not forget being called "an enemy of the people." President Trump has used identical language to describe the news media. "The FAKE NEWS media ... is not my enemy, it is the enemy of the American People!" Mr. Trump said on Twitter during the first month of his presidency. In the immediate aftermath of Thursday's shooting, Mr. Trump posted to Twitter that his thoughts and prayers were with the victims and their families. Jarrod Ramos has been charged with murder after police say he opened fire at the Gazette offices in Annapolis. Four journalists and a sales assistant were killed in the attack. In an interview with CBS News correspondent Chip Reid, Paul W. Gillespie, a photographer at the paper who survived the shooting, wore a shirt saying "journalism matters today more than ever," and he told Reid he wore it to deliver a message. "Support local journalism," Gillespie said. "Subscribe to the paper. We're not evil. We're just regular working people trying to tell stories from our communities. You know, like at the vigils, I don't know if you saw, but we got a lot of love around here, you know? Everyone knows us. They know that we're not trying to do bad things. We're just trying to tell their stories."